Credit Spread - What Does It Mean? What does the term "credit spread" mean in the world of options? What is meant by a "credit spread"? In the world of options, a "credit spread" occurs when a trader sells and buys an option of the same class in order to create a credit. Two credit spreads that you have likely heard of include bull put spreads and bear call spreads. With the "bull put spread", a trader is of the opinion that a stock is going to either trade higher, at the same level or maybe even slightly lower by the time that the options expire. If these things occur, the trader will get to keep the credit generated by the trade. In the case of the "bear call spread", a trader believes that a stock is likely to trade lower. In order to put on this trade, a trader will sell a more expensive call while buying a less expensive call at a higher strike price. 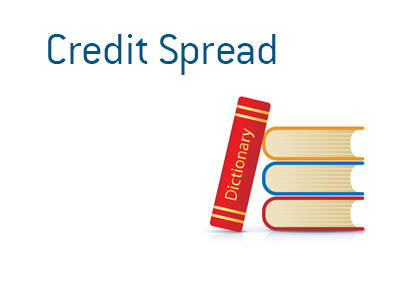 The main benefit of the credit spread trade is that the maximum loss is defined when the trade is entered. The maximum loss is figured by subtracting the difference between the two strike prices by the net credit generated by the trade, while the maximum profit is the total amount of the credit.